Breakfast is served every morning and guests can use the shared kitchen facilities on site. A restaurant is 200 metres away, while a supermarket is 300 metres from the property. The bed and breakfast has a garden with barbecue facilities, a sun terrace and a ski storage room with ski boot dryer. Forsthof – Bed and Breakfast. 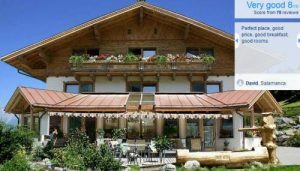 The Forsthof – Bed and Breakfast offers a sunny and quiet location in Alpendorf above St. Johann im Pongau, very close to the gondola lift. Wi-Fi access and parking are available free of charge. All rooms and apartments at the Forsthof offer cable TV and a bathroom. Most have a balcony. The sauna can be used free of charge. 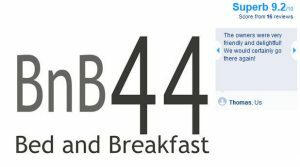 In the morning, a rich breakfast buffet with a selection of juices and cereals, as well as many homemade products, is offered. The gondola lift operates in summer and winter alike. The access to the Ski amadé ski area is only a few steps away from the Forsthof – Bed and Breakfast.Restaurants can be found in the immediate vicinity. Guests benefit from free access to the 9 Loch Akademieplatz golf course and 30% off the green fee at the 9 Loch Turnierplatz (arena) of the St. Johann Alpendorf Golf CLub. We speak your language! Accommodation Hotel Rooms: 18. Physically, the Alps dominate the landscape, but Austria is by no means all mountainous vistas: the country stretches across central Europe for some 700km, from the shores of the Bodensee in the west to the edge of the flat Hungarian plain in the east. In Upper and Lower Austria, the predominantly low-key landscape of gentle rolling hills and vineyards can come as something of a surprise to first-time visitors. Yet this fertile, low-lying northern half of the country is, in fact, where the majority of Austrians live and work, many of them within commuting distance of the capital, Vienna – the country’s chief tourist destination after the alpine regions. Take A Break Holidays takeabreakholiday. Austrian bed breakfast Accommodation.